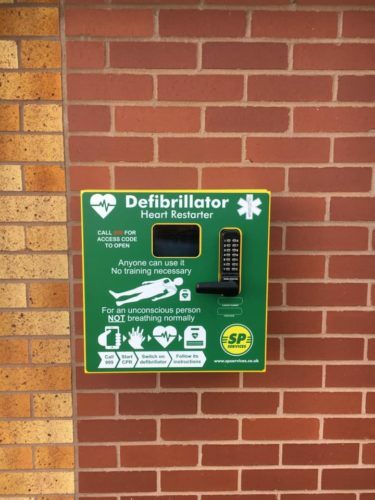 The club’s defibrillator was signed off by West Midlands Ambulance Service today and had been installed on site as shown below. Hopefully it will never have to be used but is now accessible by local residents, dog walkers and club members. Training will be offered to residents of Newtown over the next few weeks – date to be advised. Big thanks go to Kelchers Optometrists for donating the defibrillator; Martin Millard for installing the casing: Lee Painter for organising and friends of the club who attended the quiz night to raise funds for the box.